Visualizing Ruby Execution — The author of VisualizeRuby has added the ability to generate an image of the execution path for a given application run, though it’s still early days and may not run on all code. Be the First to Try Powerful CI/CD Pipelines in Semaphore 2.0 — Semaphore 2.0 makes it extremely easy to set up and visualize continuous delivery for your whole organization. Model your custom workflow with powerful pipelines, from commit to deploy. Request access and be one of the first to try it. Ruby Together's July News Update — Ruby Together is the organization that helps funds development of common Ruby tools like Bundler and RubyGems. Of particular note here is work on alpha support of two factor authentication for logging into the RubyGems site with CLI 2FA to follow in due course. Finding Where STDOUT/STDERR Debug Messages Are Coming From — I’m not quite sure how I feel about tinkering around with the STDERR class’s methods but it’s a clever solution to a problem Sam was having with Puma. How to Use Bundler in a Single-File Ruby Script — We didn’t know you could inline your gem dependencies along with your Ruby code in a single file.. bundler/inline makes it possible. Neat! First Beta of Hanami 1.3 Released — The Hanami framework’s 1.3 release is due in October but this will give you an early taster. An interesting update is a switch from Minitest to RSpec in Hanami’s testing approach. Ruby/Rails Developer at itison (Glasgow/Edinburgh, Scotland) — We’re looking for Ruby devs, from junior to senior, to join our team & work on e-commerce & internal products. Find A Ruby Job Through Vettery — Create a profile to connect with 4,000+ companies seeking top tech talent. Designing Services with dry-rb — Once you start writing service objects, using the dry-rb modules to handle specific responsibilities is a fine idea. Ruby 2.6's Dir#each_child and Dir#children Instance Methods — Access or iterate through items in a directory directly from the directory object itself. ▶ Improving Partial Loading Performance — This video runs through a couple of gems that help in mitigating bad practices, such as queries in views and ‘N+1’ queries. How Can I Use Ruby 2.6 JIT? — Noah’s slides from Southeast Ruby. Back to the Primitive. Testing with Simplicity — A call for pragmatism over purity in testing. 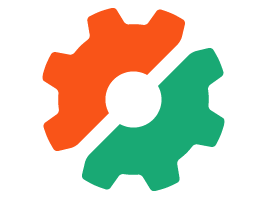 Paraspec: Parallel RSpec Test Runner — Paraspec uses a coordinator/worker architecture and can assign single specs (as opposed to entire files) to workers resulting in a balanced and resiliant spec runner. Catch Ruby Errors Before Users Do — Detect Ruby production errors in real-time, then debug them in minutes. Works with Rails, Sinatra, and more. Xcode::Install: A Ruby Tool to Install and Update Xcode Versions — Think of it as RVM for your XCode installation.